My creative work is influenced by my, sometimes unique, reflections and observations of this world and the many quirky people that inhabit it. I have a deep interest in both the complex and the mundane and interpret life with humour, imagery and honesty. Geoffrey Blip lives on the planet Paz. It is a lovely planet and every night Geoffrey escapes to wondrous places by watching it all on television. But Geoffrey isn’t happy. He has an overwhelming feeling that there is something more to life. A diary his only company, Geoffrey Blip jumps aboard a mail-order rocket ship and blasts towards the stars in search of answers. What he finds is Earth. The Diary of Geoffrey Blip is a heart-felt tale of hope, adventure and self-discovery. Young and old alike will delight in the playful verse, the illustrations and the quirky observations. 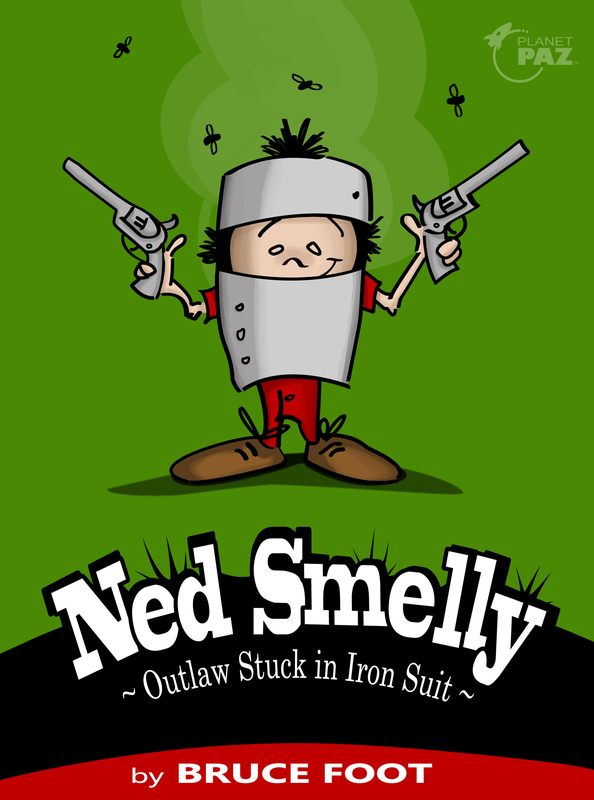 Ned Smelly really wants to be a bushranger. So he gets Blind Patty the blacksmith to make him a suit of iron. But the armour gets stuck and Ned gets hot and smelly. Now he is famous, but for all the wrong reasons.